The retail shelf environment can help elevate merchandise. 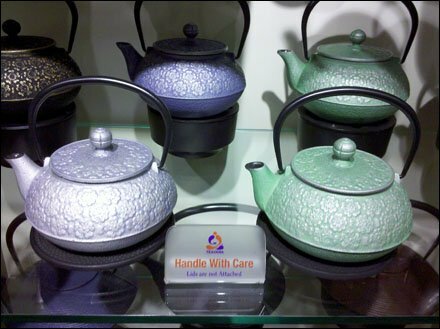 Here cut-above “Handle With Care” signage adds both a warning and a tiny increment of perceived value to these oriental teapots. CLICK the thumbnail for a closeup view. 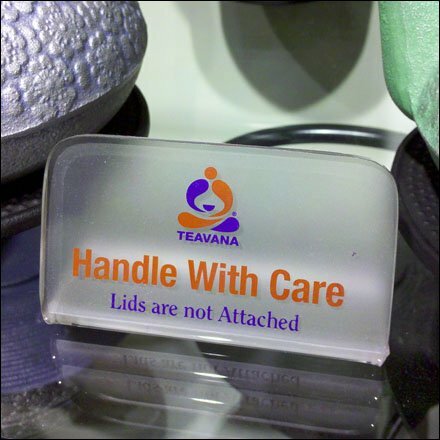 Does your “Hands Off” and “You Broke It You Bought It” signage look this good?